Two Mute Swans with their young in the bay in Port Ellen. I might have a picture of them lifting off somewhere, I need to take a look. The ferry in the background is the Isle of Arran when she was still on the Islay route. 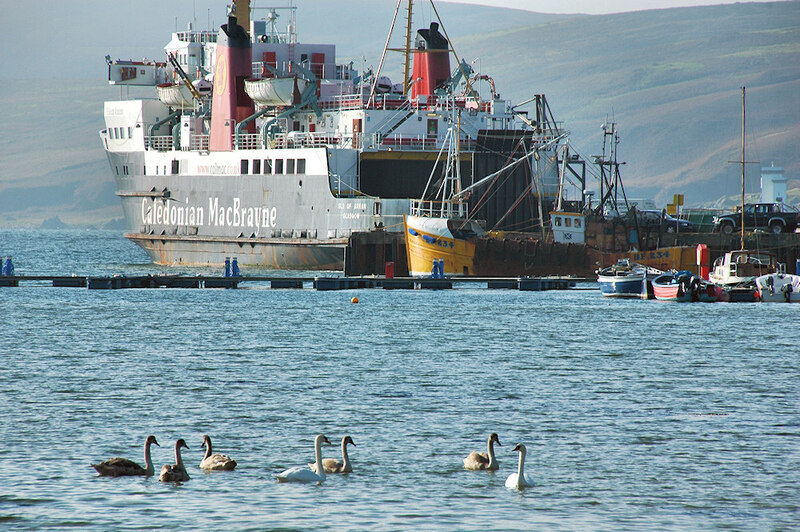 This entry was posted in Repost, Sunny Weather, Village, Wildlife and tagged Islay, Mute Swans, MV Isle of Arran, Port Ellen by Armin Grewe. Bookmark the permalink.